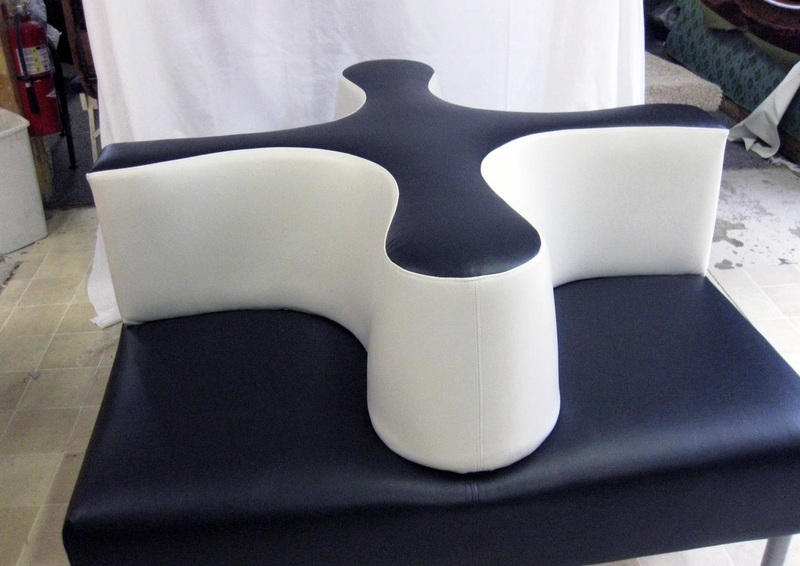 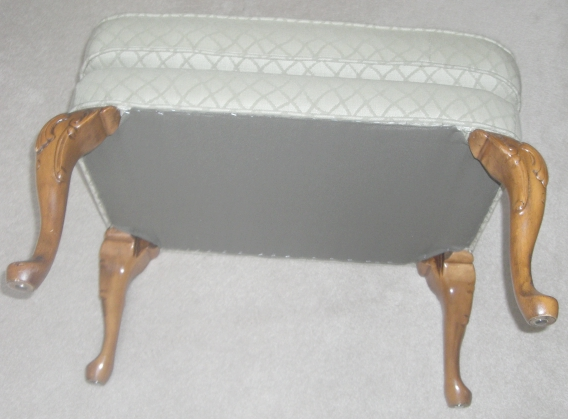 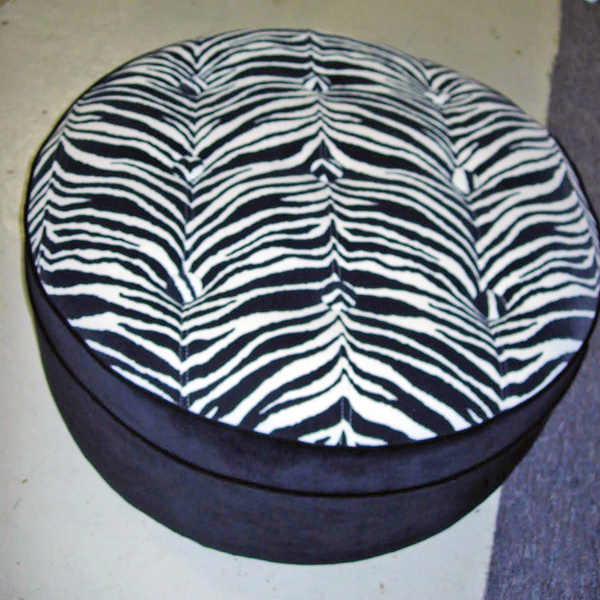 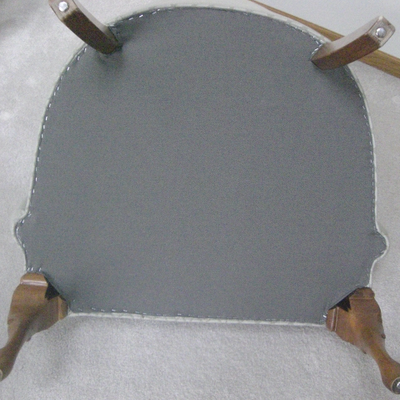 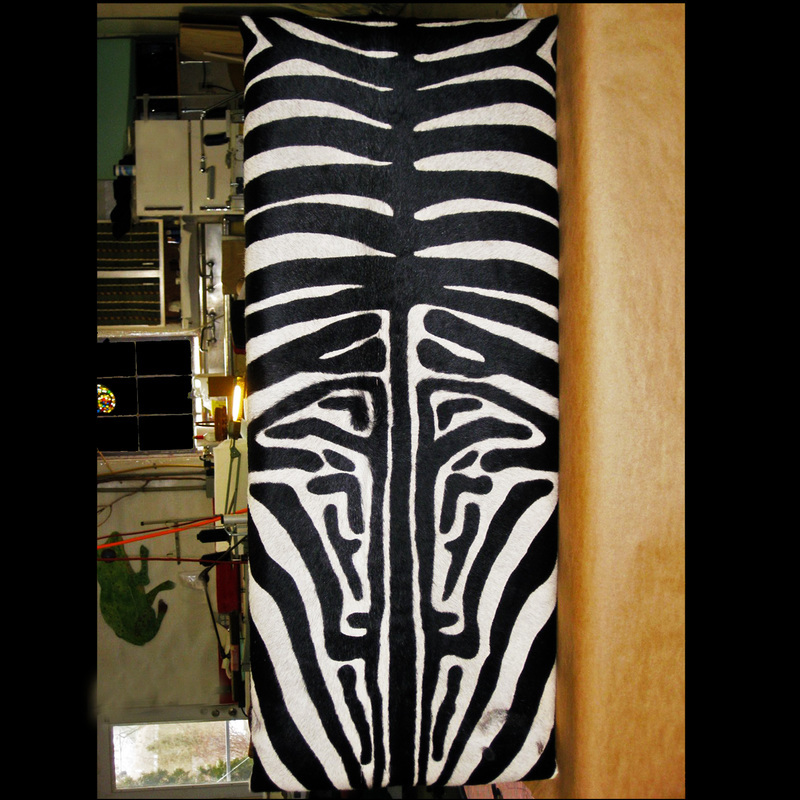 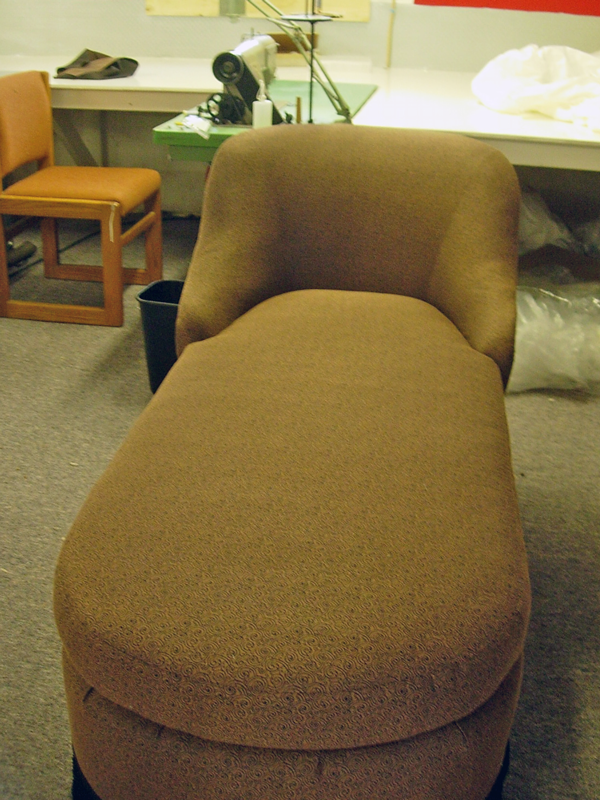 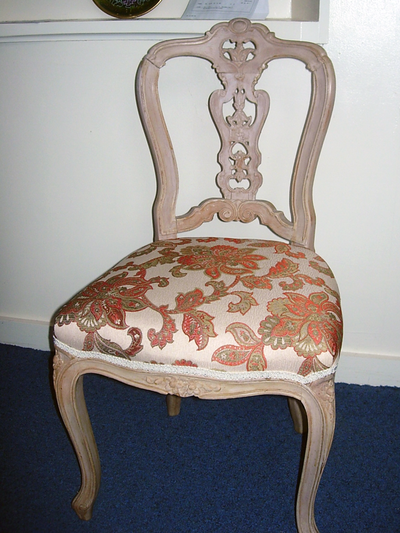 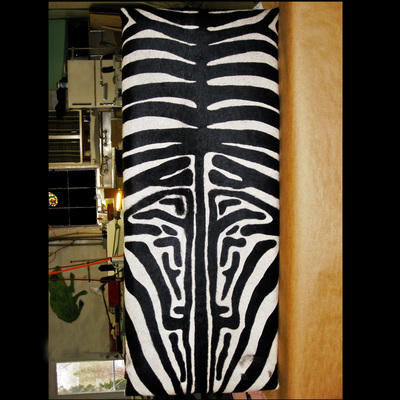 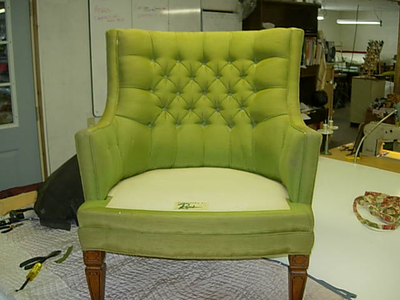 Below you can see a sample of our upholstery work. 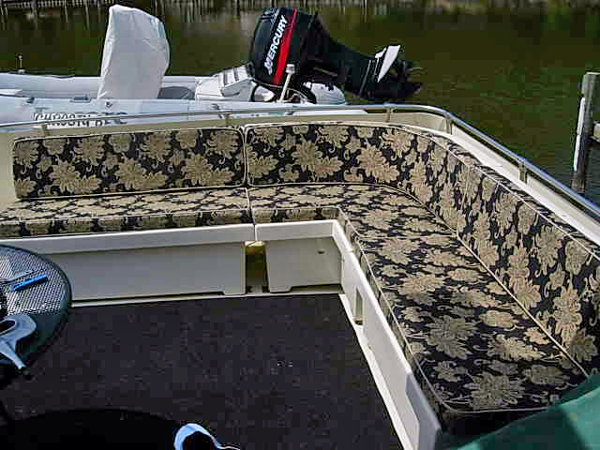 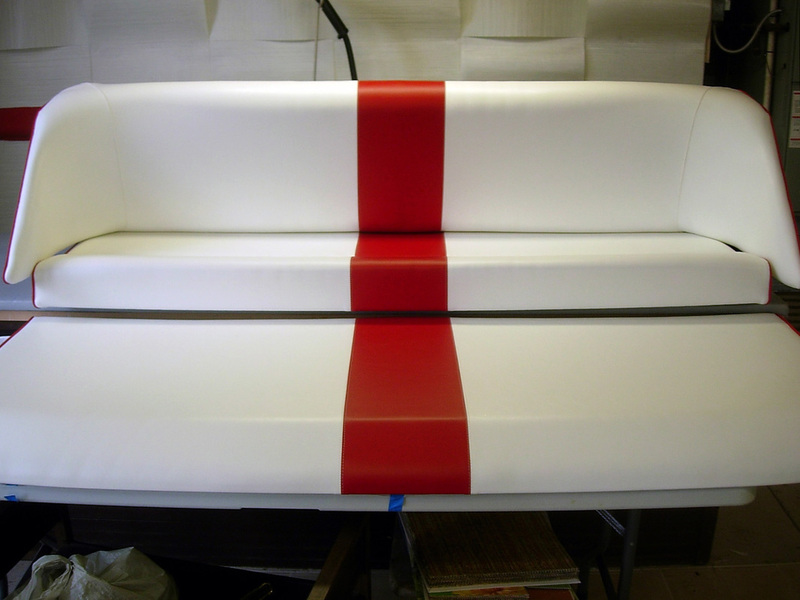 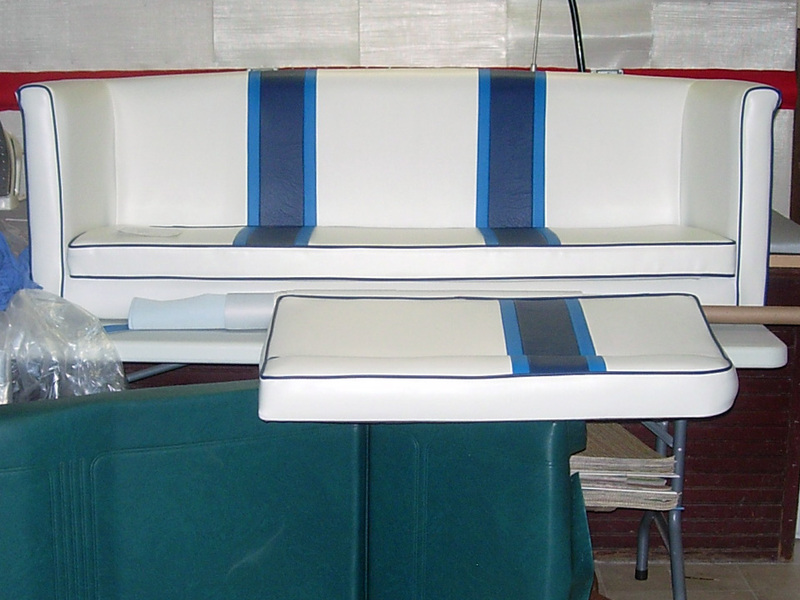 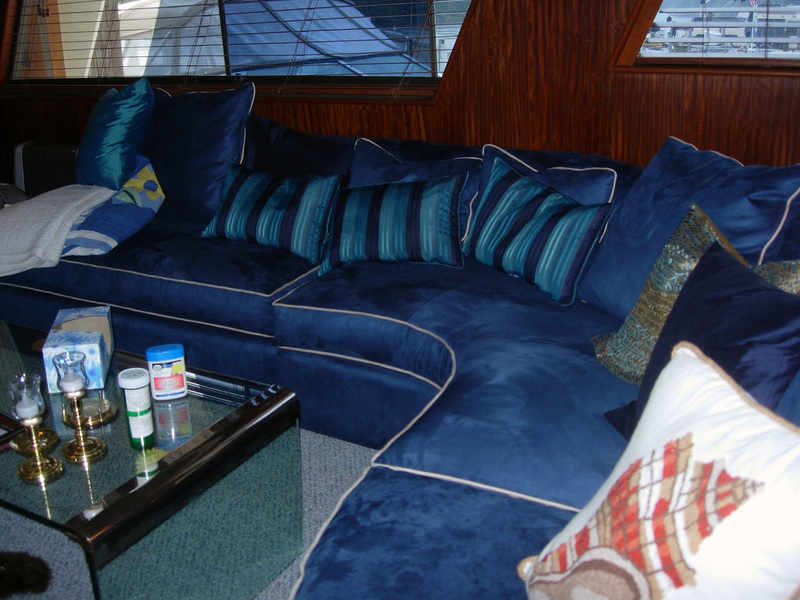 We offer upholstery for boats and marine settings, home furniture (indoor and outdoor), vehicles, medical equipment, and much more. We also offer a variety of additional services including throw pillows, cushion covers, curtains, window treatments, and other draperies. 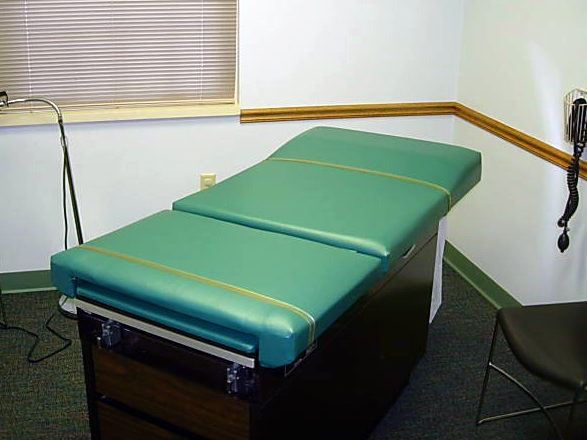 Please visit our Services page to learn more. 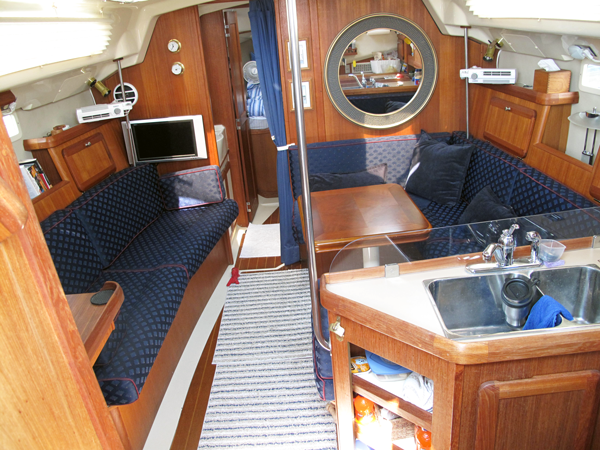 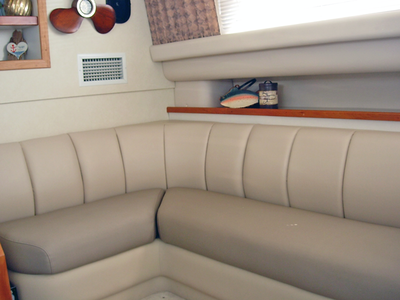 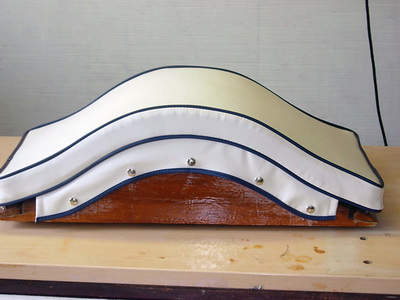 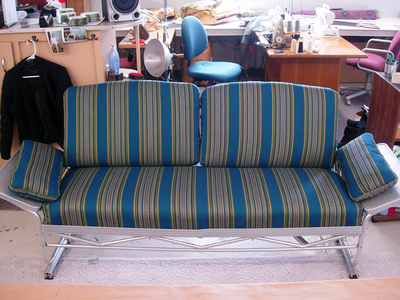 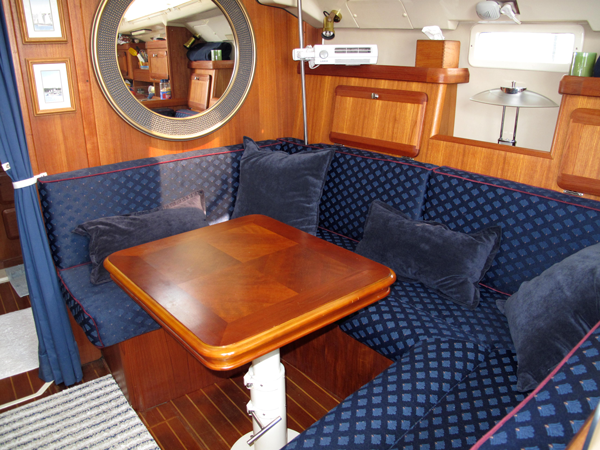 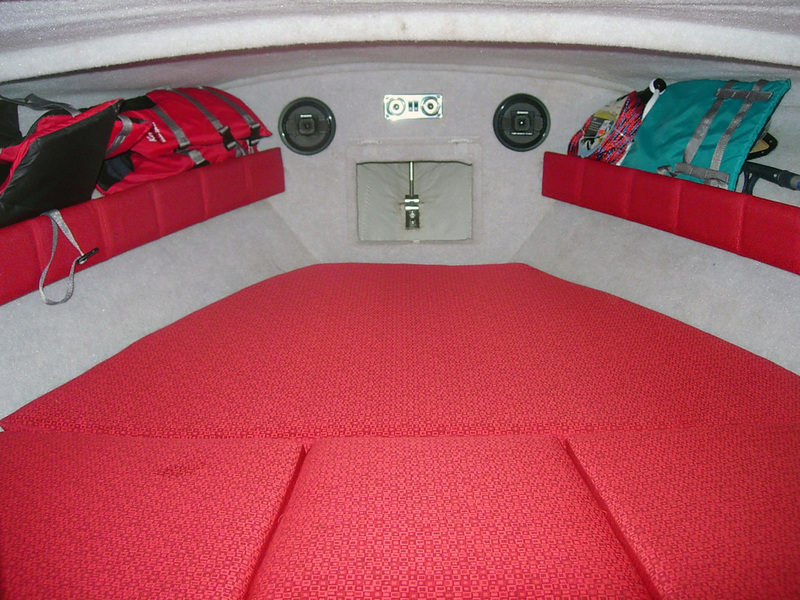 Below is a selection of our marine sewing and upholstery work. 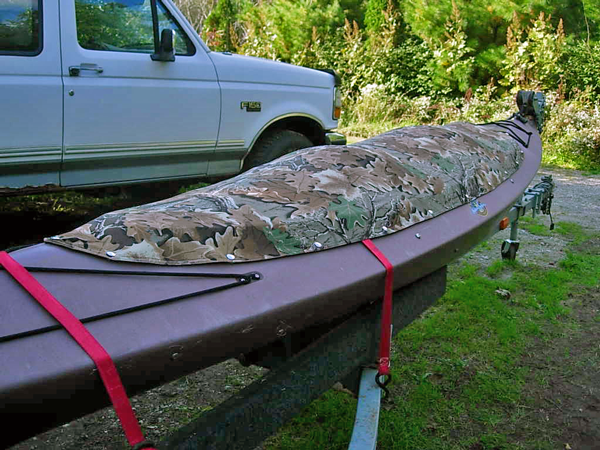 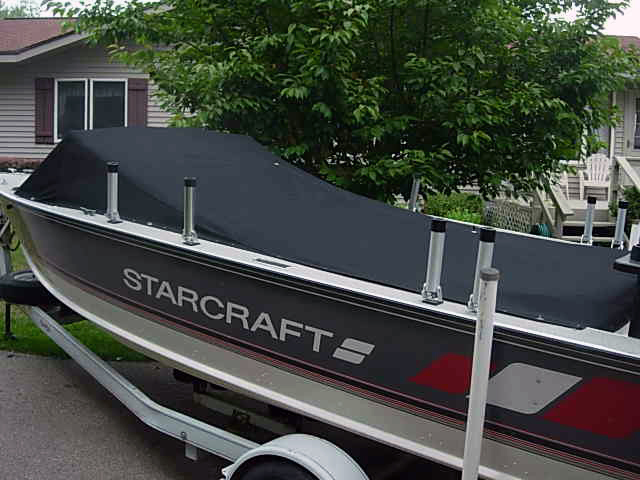 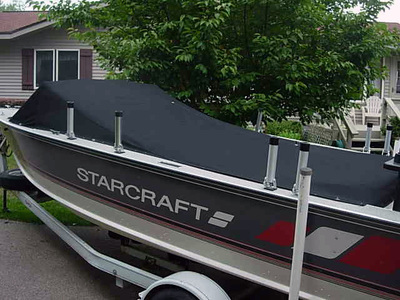 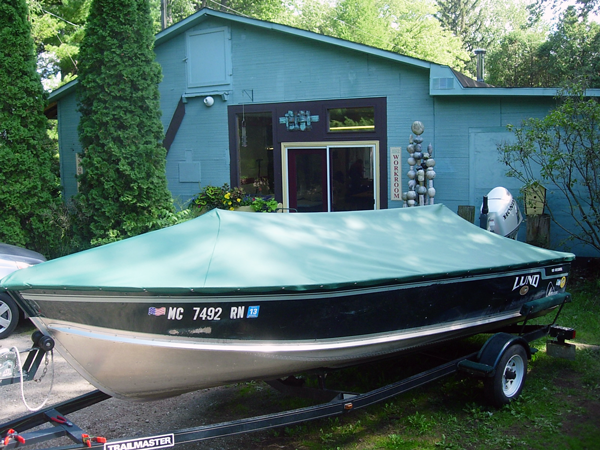 We have experience working on watercraft of all sizes. 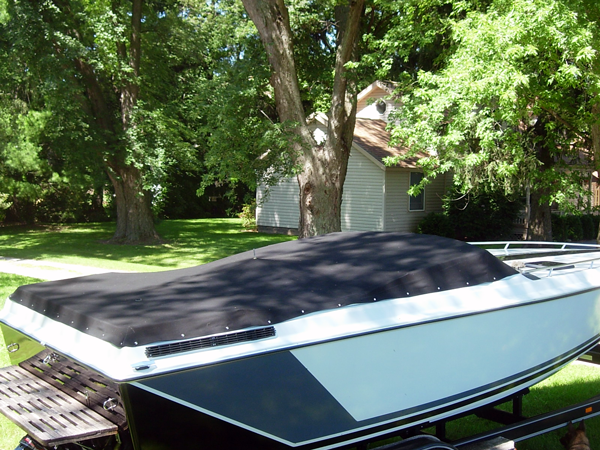 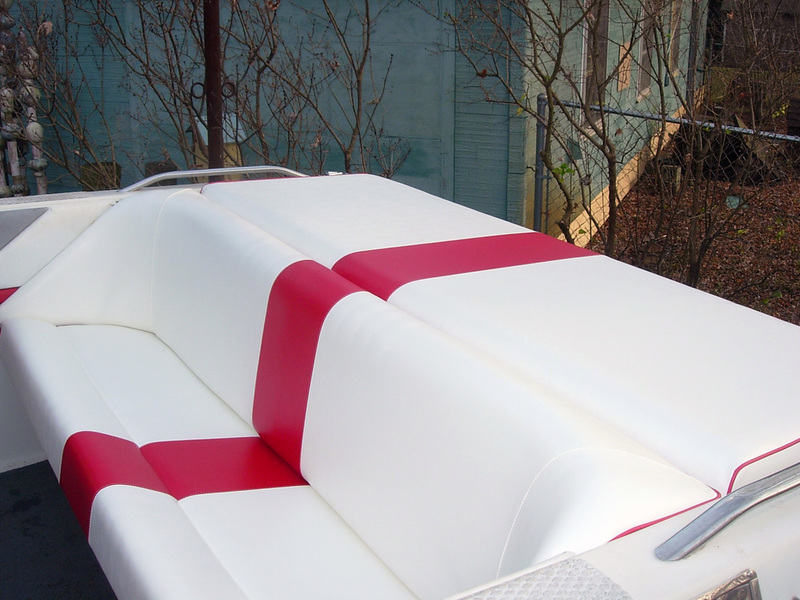 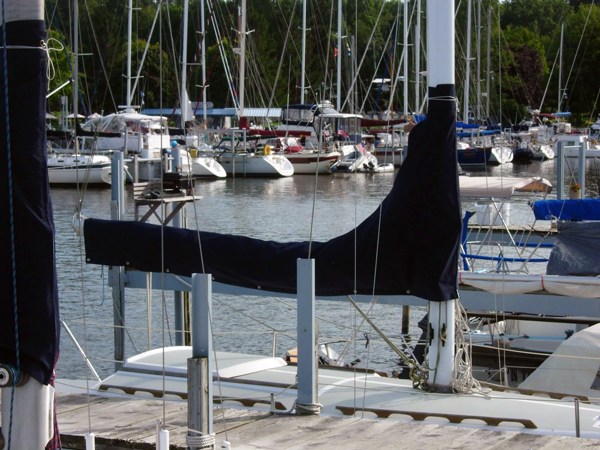 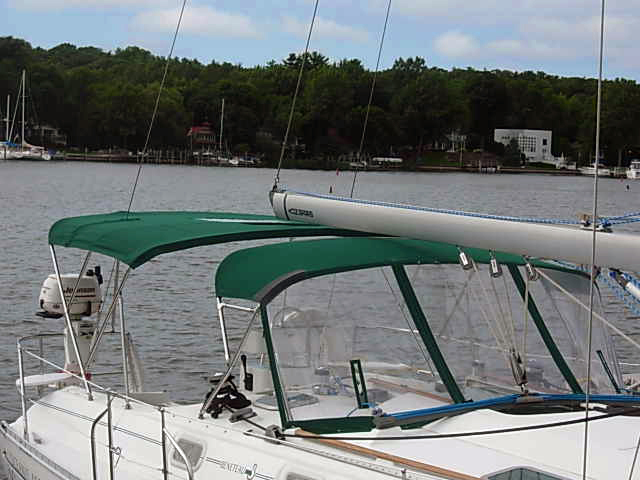 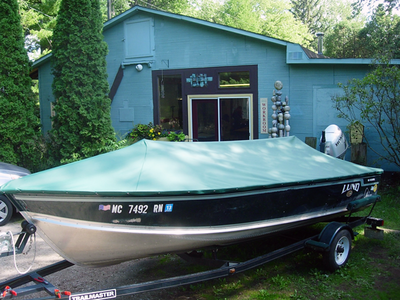 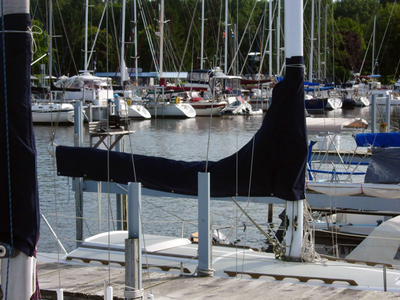 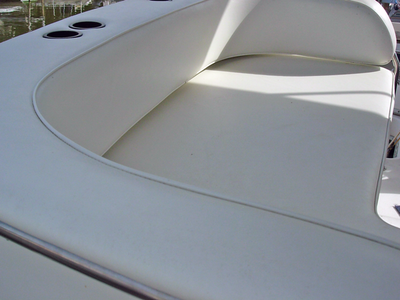 Our marine services include boat cushions (indoors and outdoors), sail repairs, sail covers and boat covers, other external canvas work, and much more. 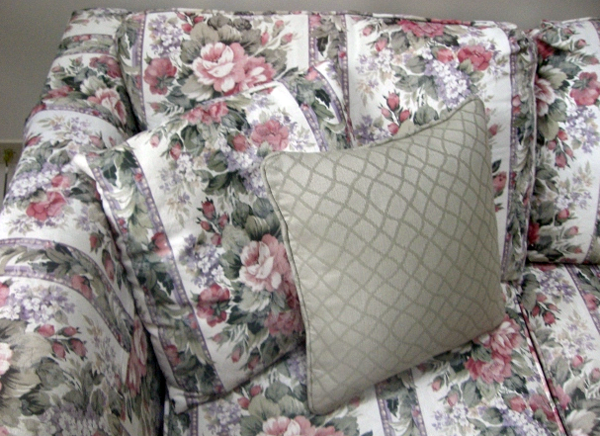 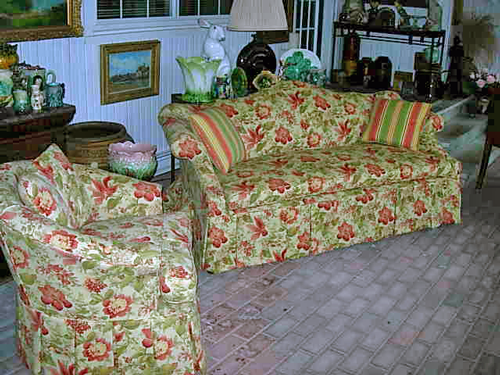 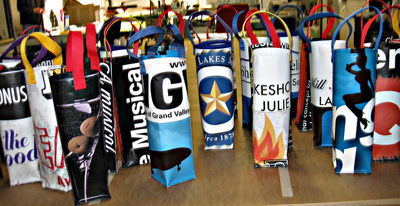 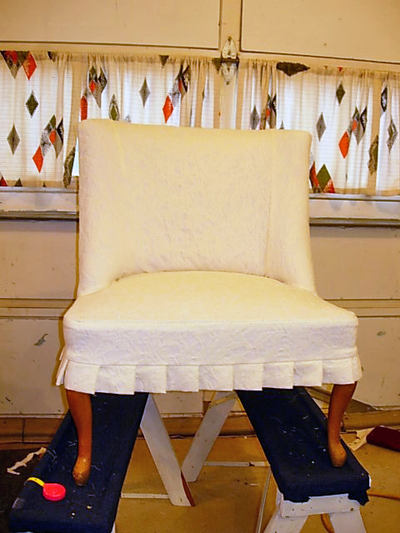 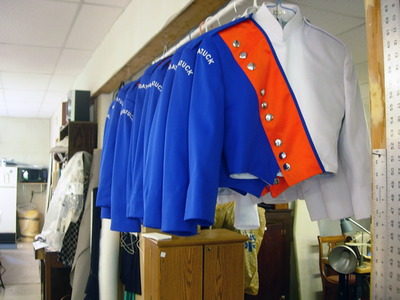 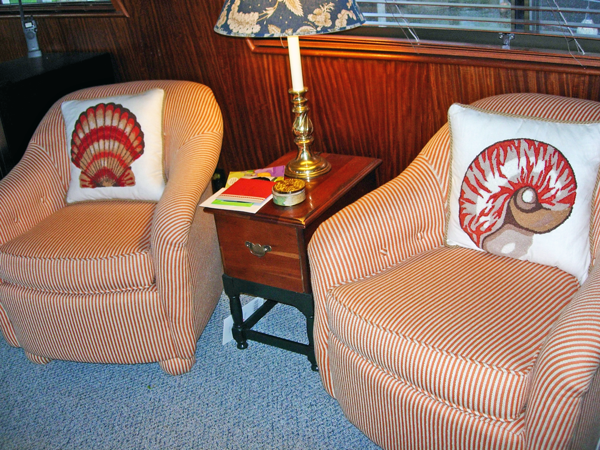 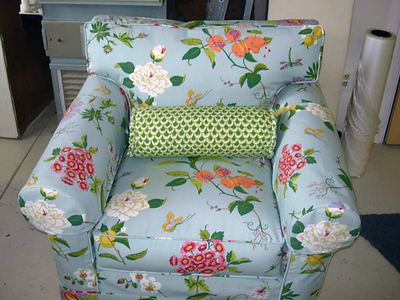 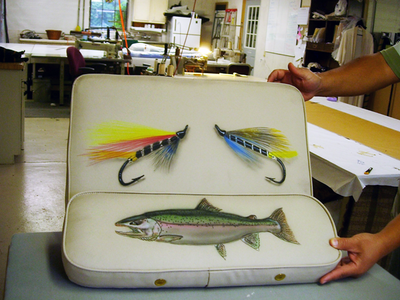 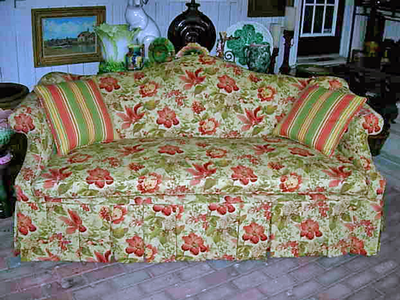 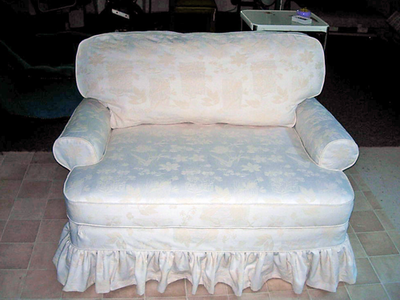 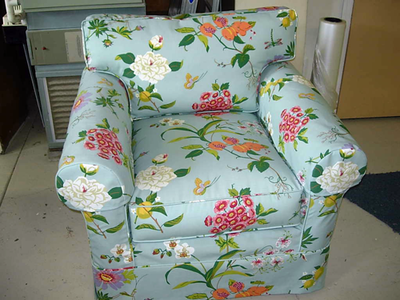 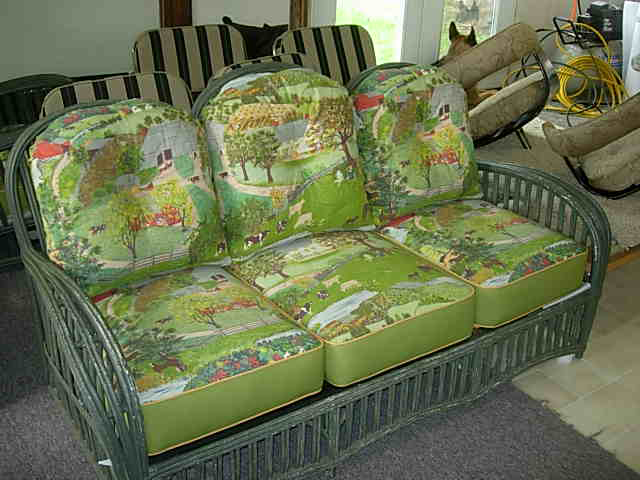 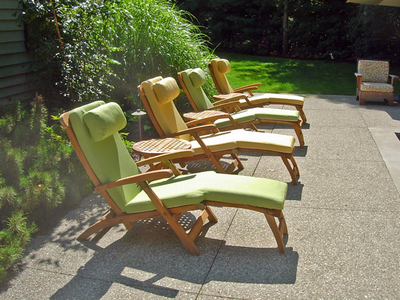 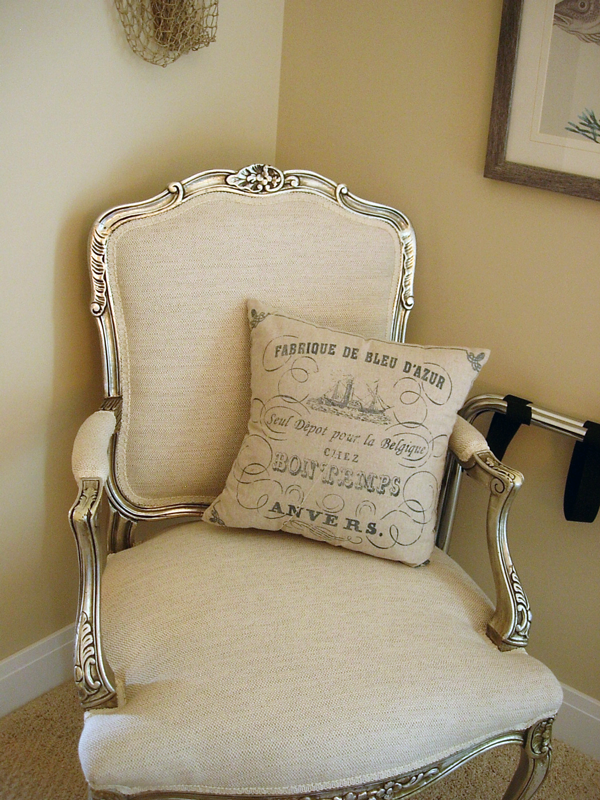 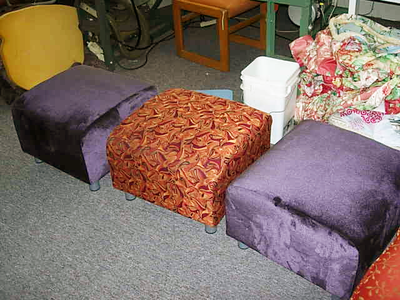 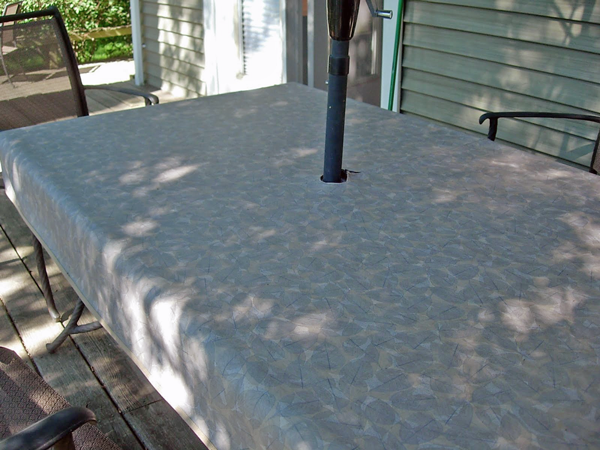 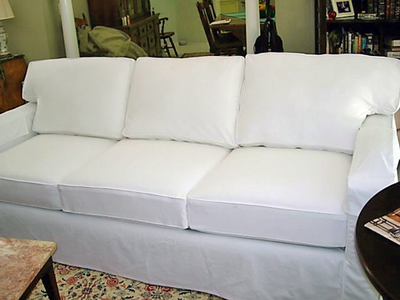 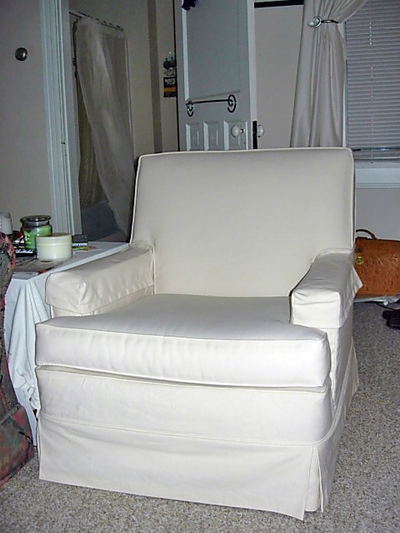 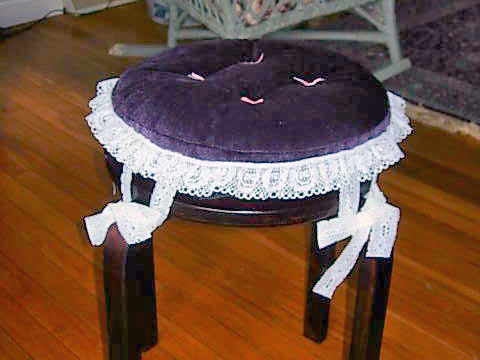 Below, you'll find examples of slipcovers and other assorted sewing work. Feel free to contact us via email or phone with any questions you may have. 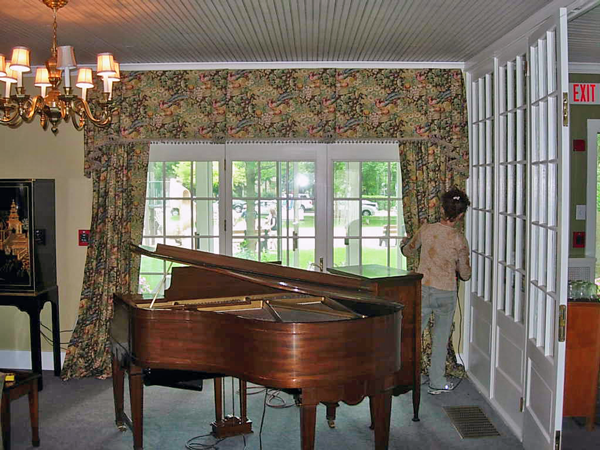 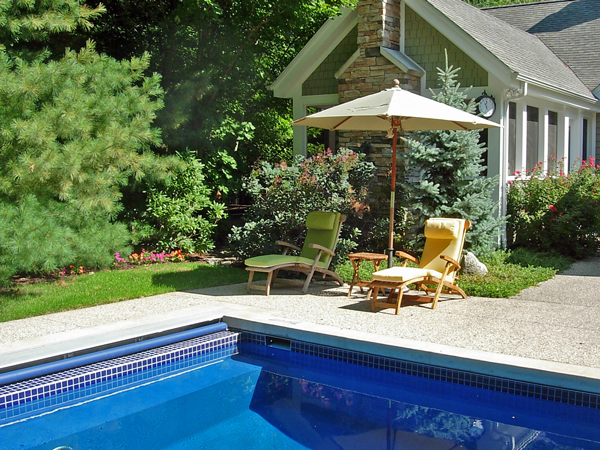 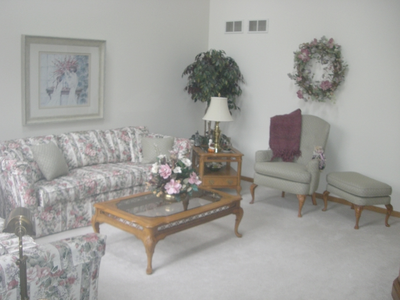 Before and after pictures are often the most fun; they help you see the new potential in your surroundings. 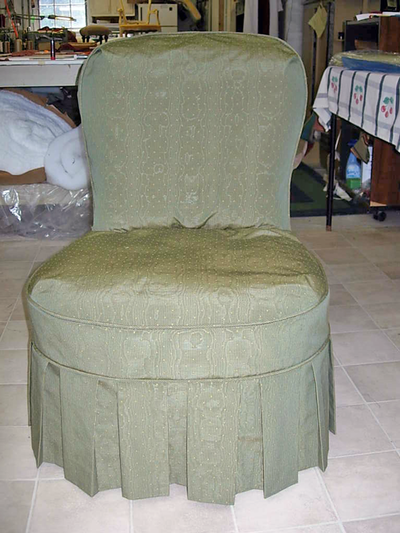 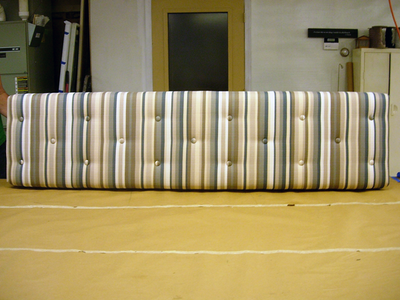 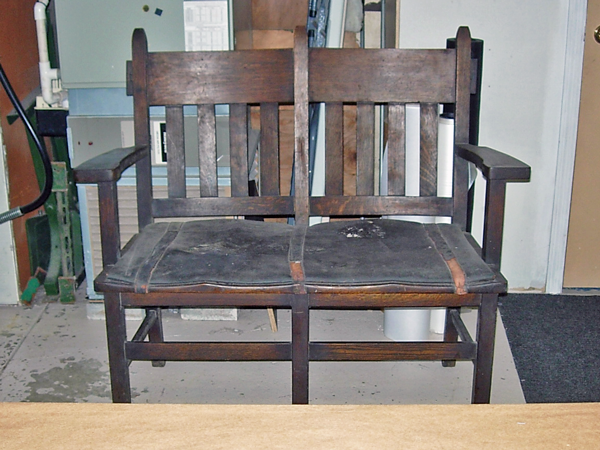 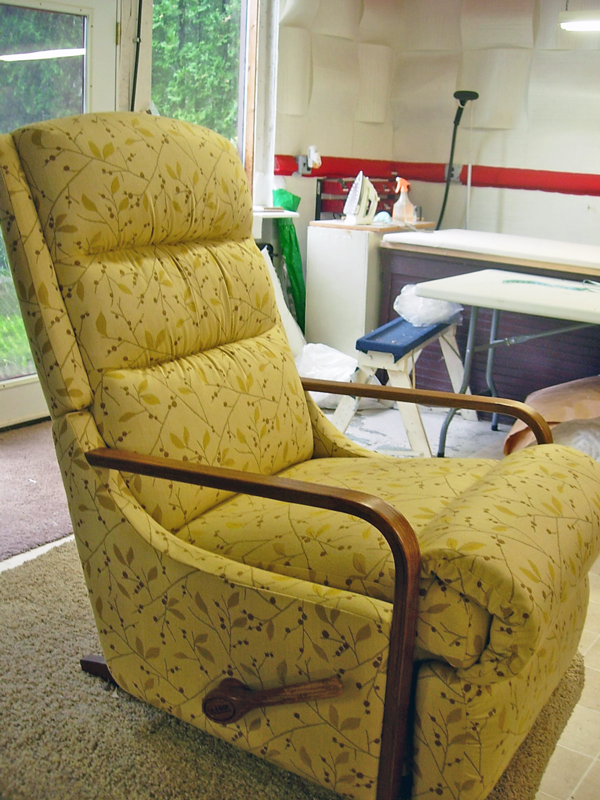 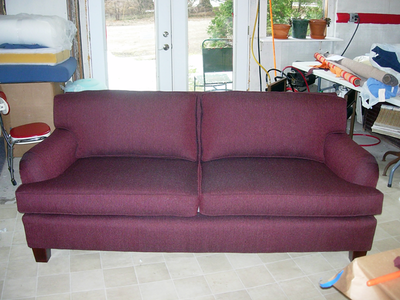 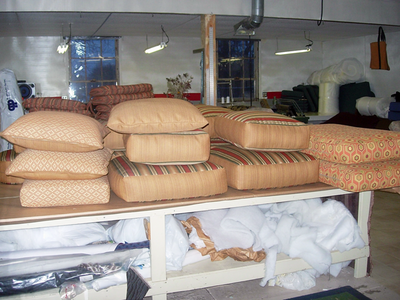 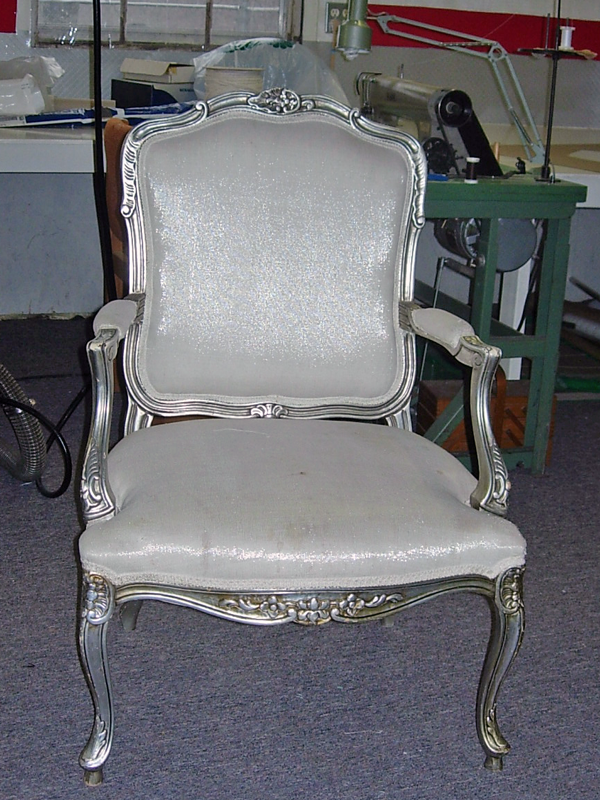 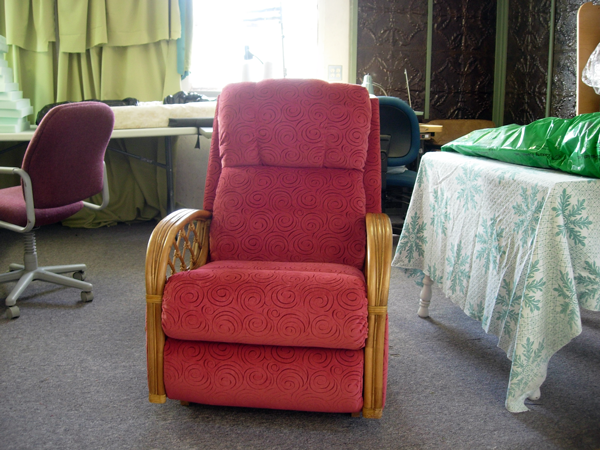 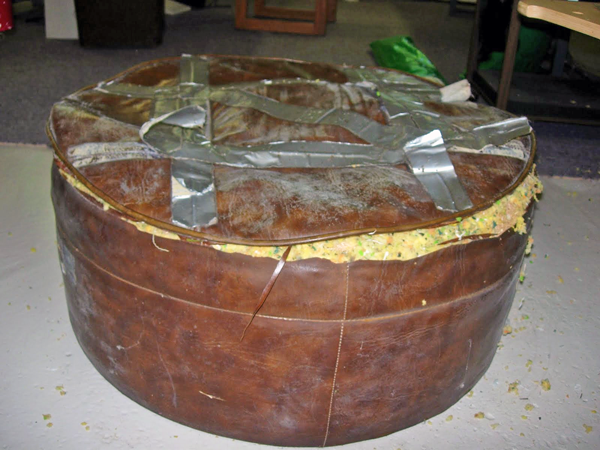 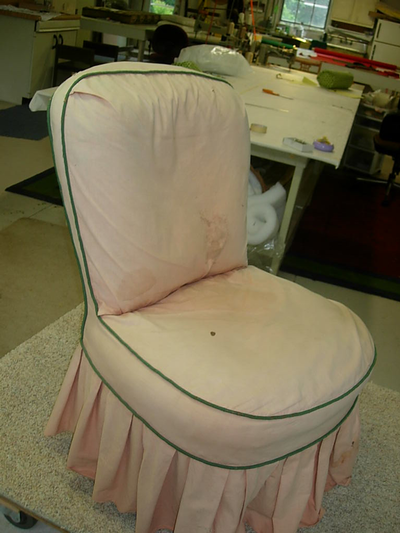 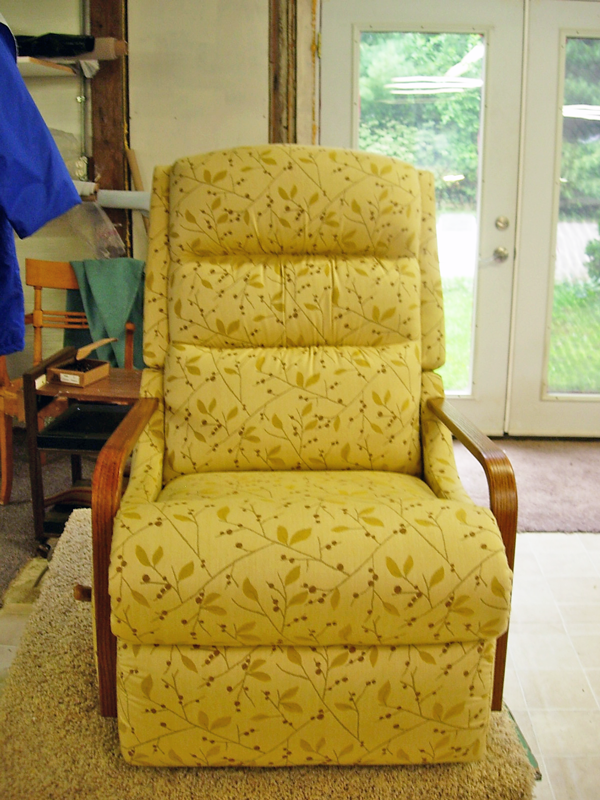 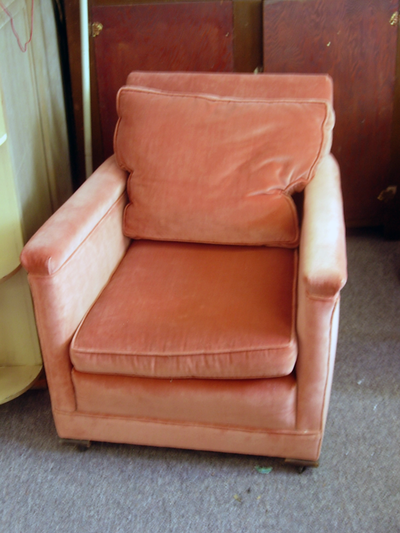 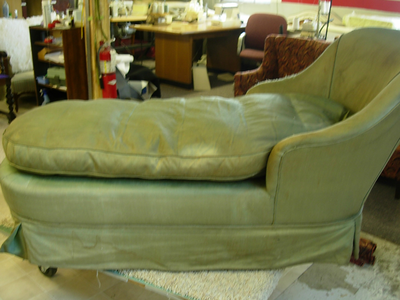 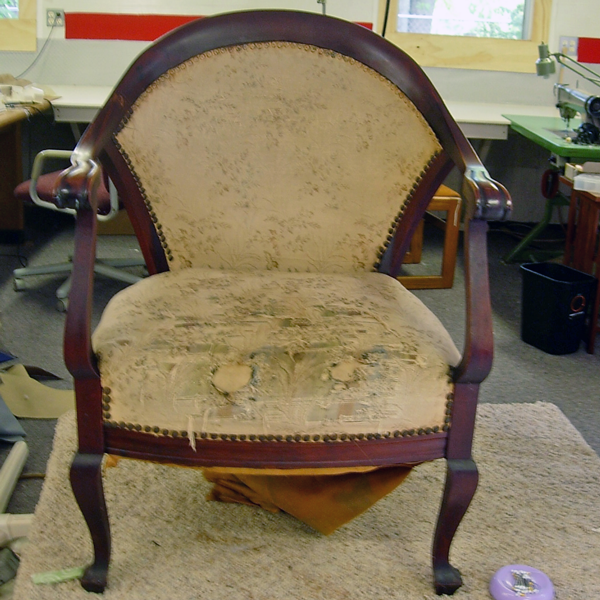 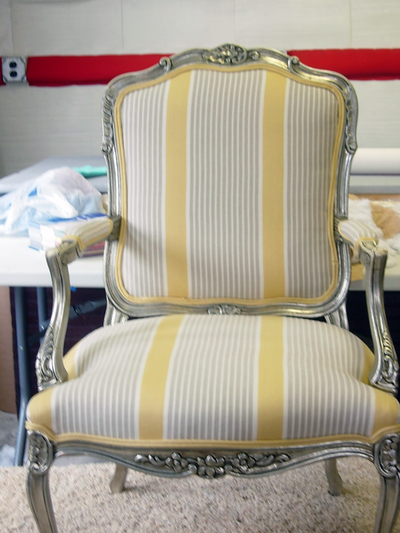 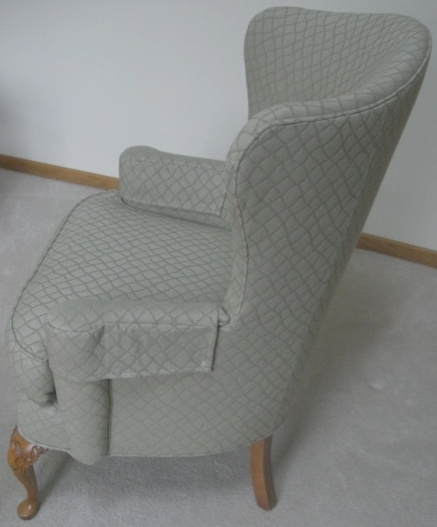 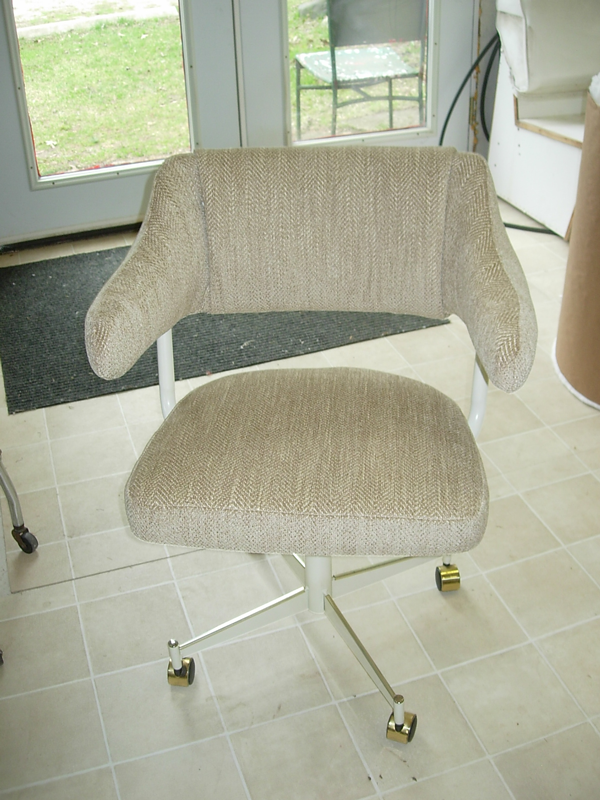 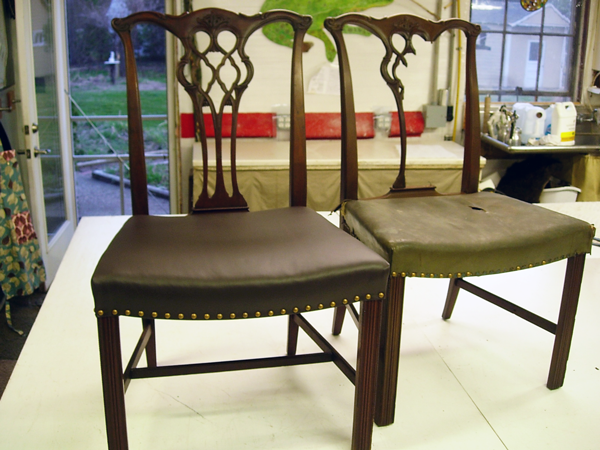 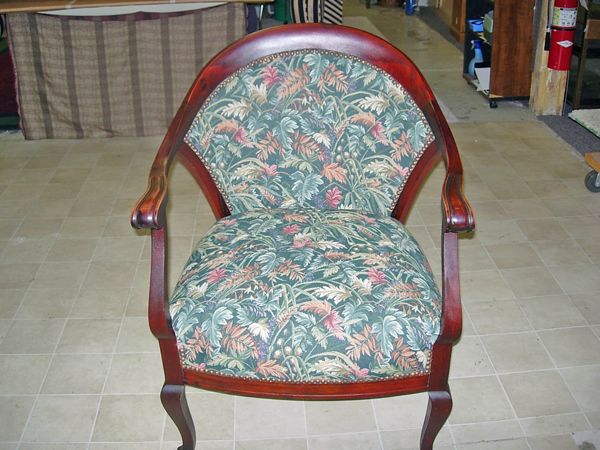 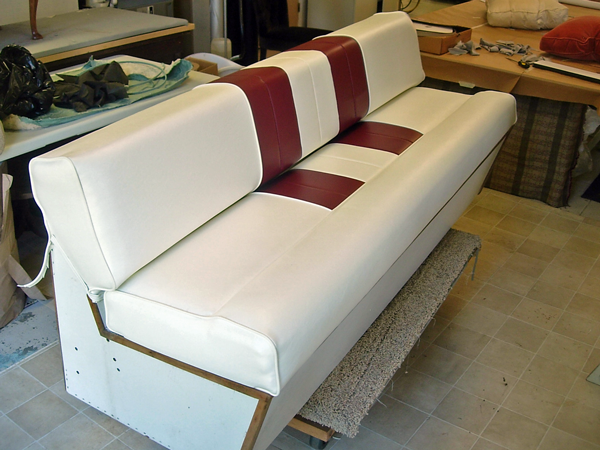 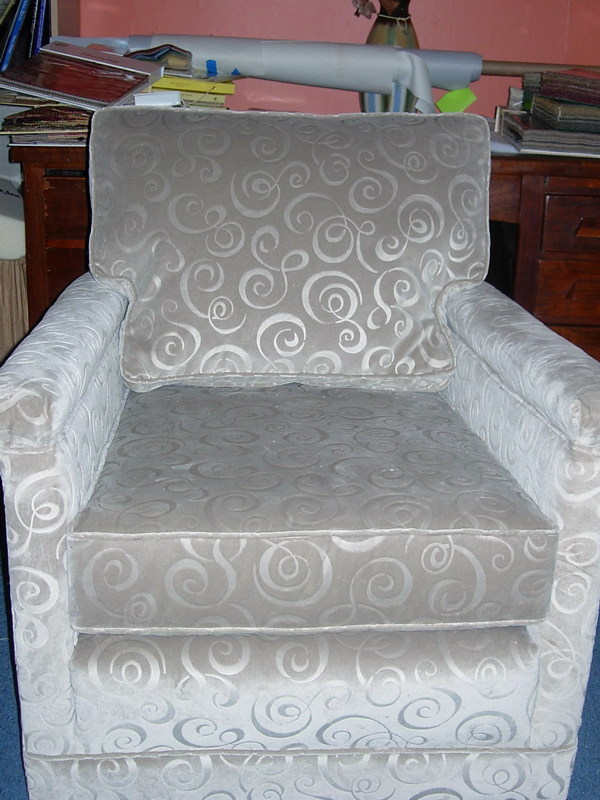 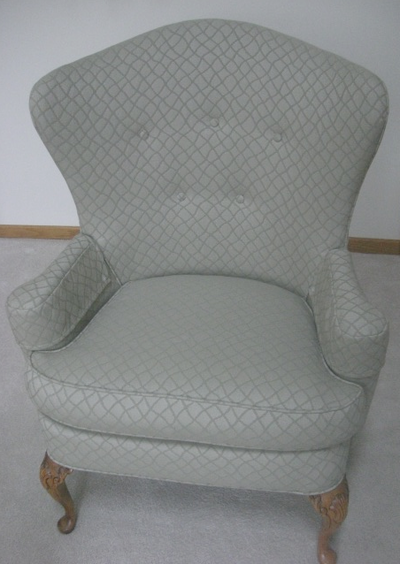 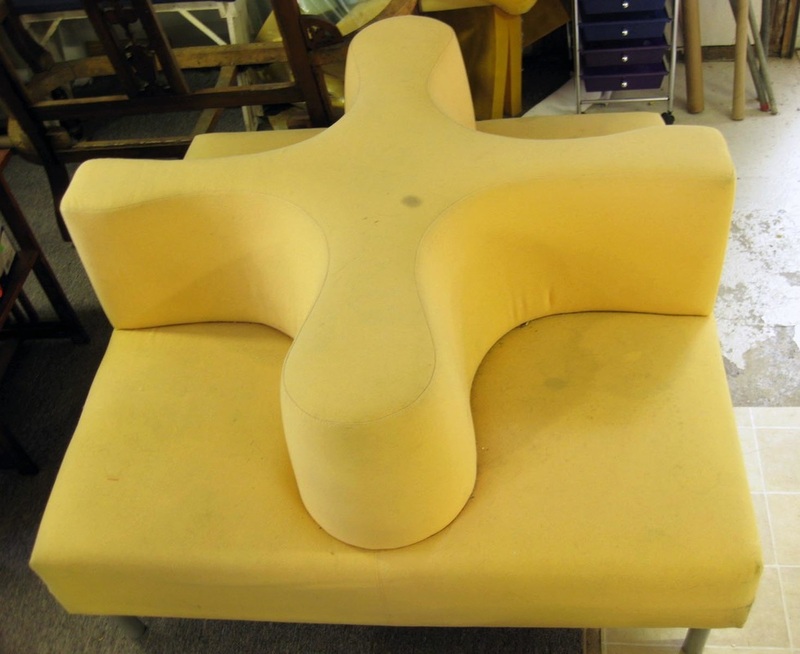 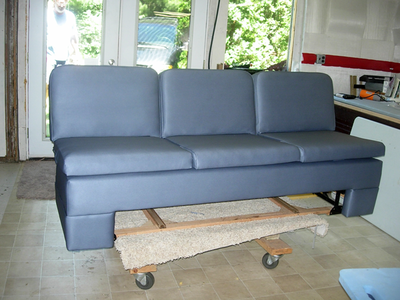 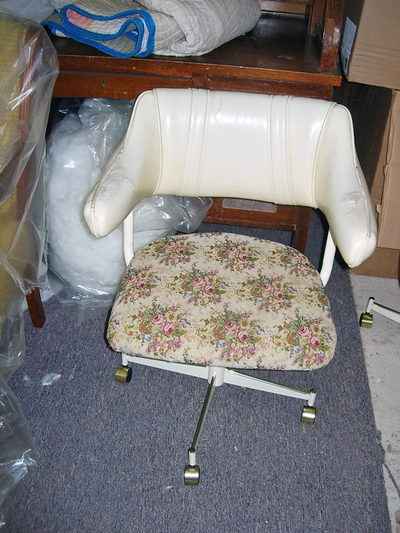 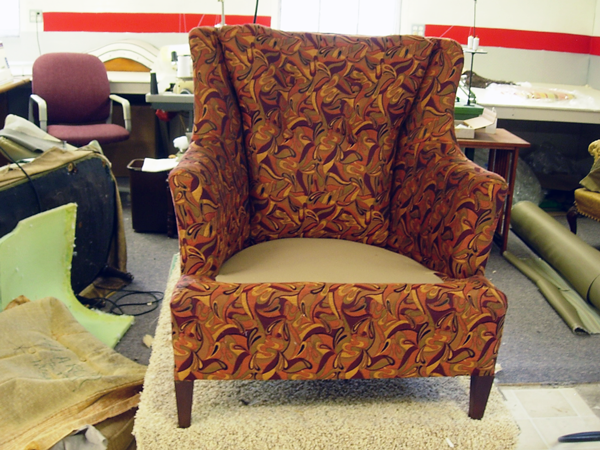 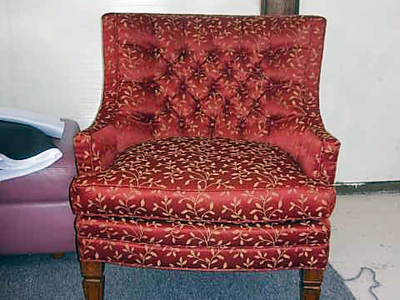 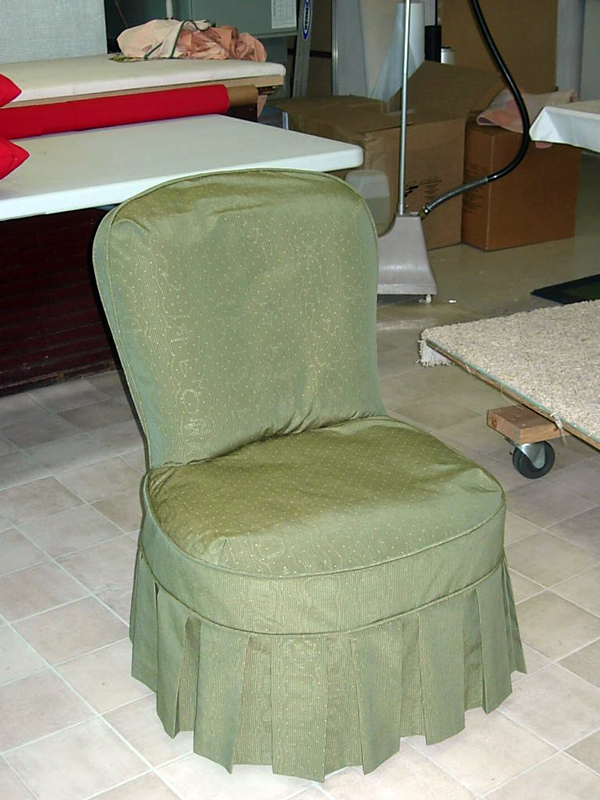 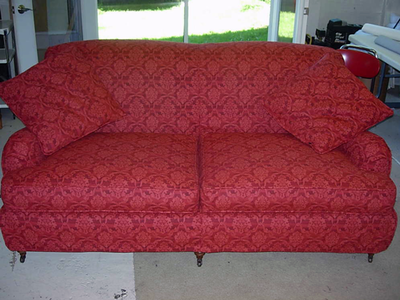 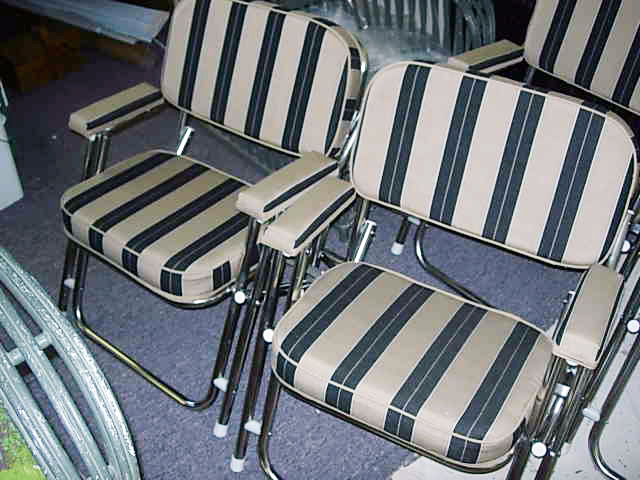 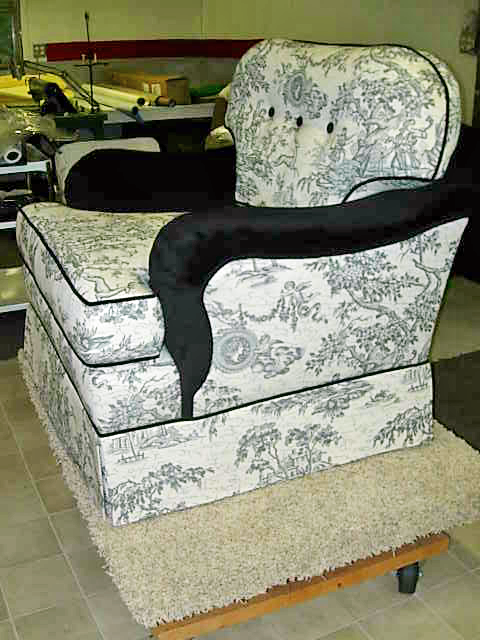 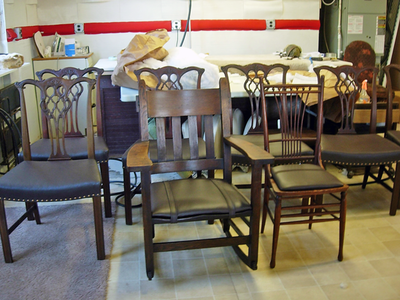 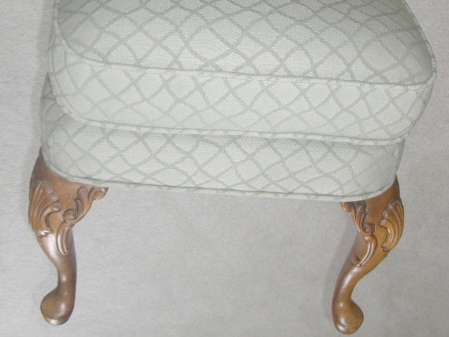 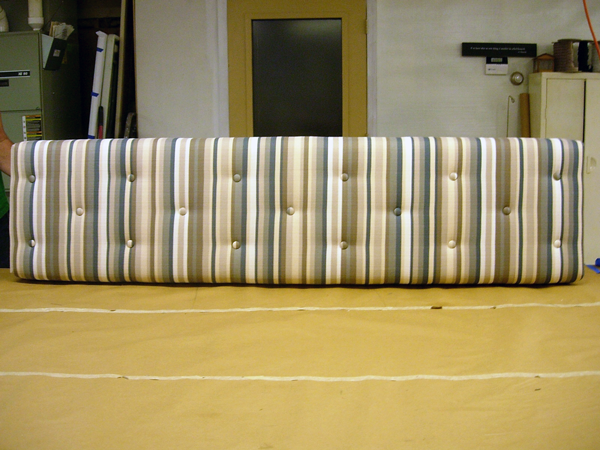 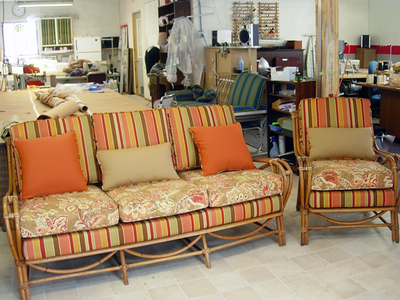 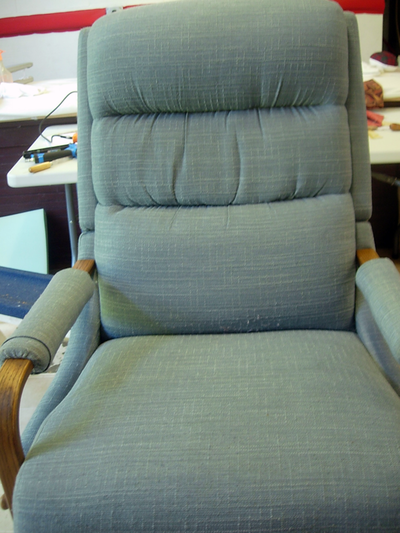 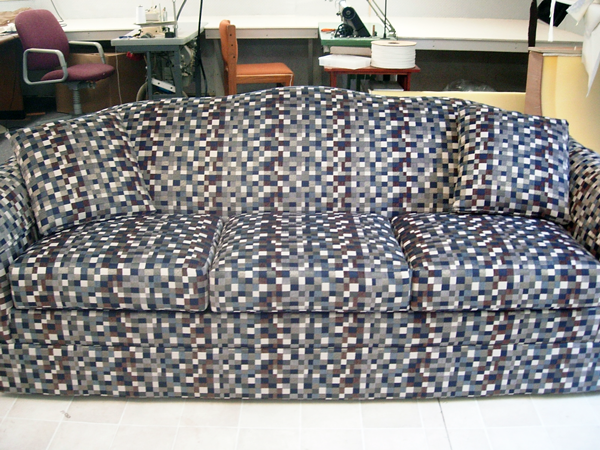 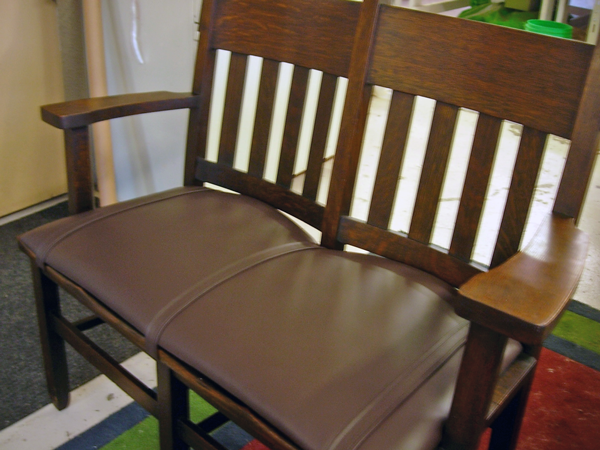 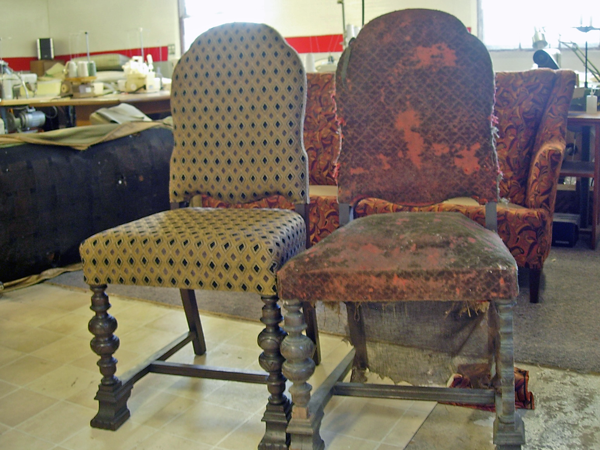 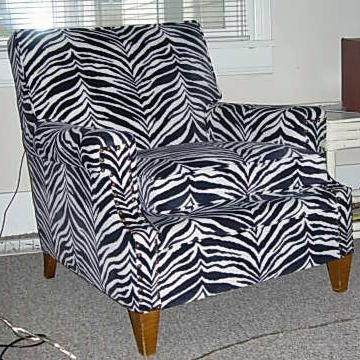 This page shows a selection of our before and after upholstery, slipcover, and furniture restoration. 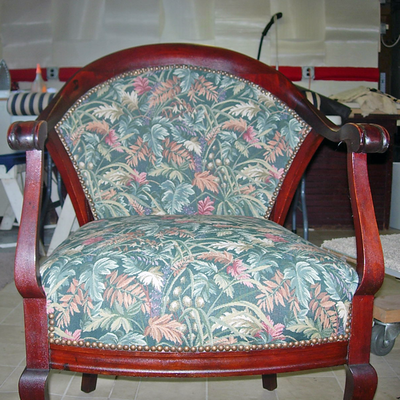 These services can help turn a garage sale steal into a showcase item and can breathe new life into a favorite, but well-worn, piece of furniture. 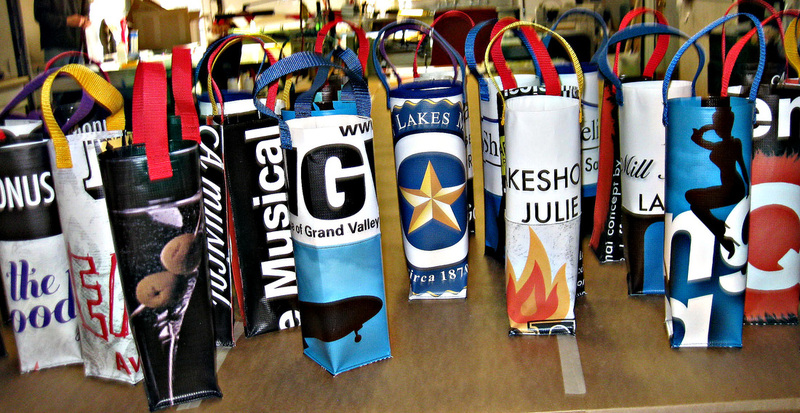 This gallery tab showcases a selection of our most recent work, including a preview of an exciting new line of products we're able to create using reclaimed promotional banner material.